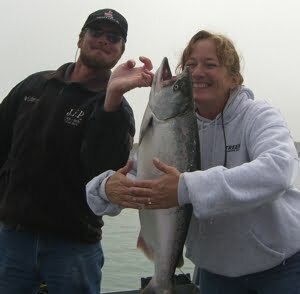 Gold Beach offers world class fishing year round! For recent ODFW updates on regulations click here. The Rogue River is renouned for it’s salmon and steelhead fishing. Many fishermen also come to Gold Beach to surf fish. December through March is one of the locals’ favorite times of the year, because Gold Beach typically has multiple days of sunshine and mild weather. Steelhead fishing reaches its peak in February, with opportunities to fish in five rivers within a one-hour drive from the center of town. Ocean lingcod and rockfish are plentiful here and make great seafood dinners. Just a few miles offshore in 40 to 125 feet of water, Gold Beach offers the best ocean bottom fishing opportunities on the Oregon Coast. To charter a boat in the winter, call ahead because weather definitely affects accessibility for safety reasons and current conditions. Ocean charters can be arranged for parties of two or more. December-March: Winter steelehead travel up the Rogue this time of year. They range in size from 4 to 20 punds. 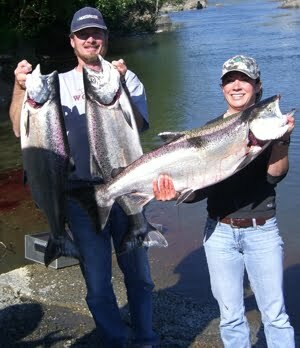 March-June: Spring Chinook (or king) salmon are caught on the Rogue River between Gold Beach and Agness (2 to 35 miles upriver). These springers are in peak physical condition as they leave the cold waters of the Pacific and come into the Rogue River in search of their spawning grounds. Known for their mouth-watering flavor, spring Chinook range in size from 10 to 40+ pounds. July-December: Troll the Rogue River Bay for Chinook salmon which, once hooked, give even the most experienced angler a challenging fight. These fine fish also range from 10 to 40+ pounds. In fact, one fish weighing 71.5 pounds was landed by a Grants Pass fisherman several years ago. 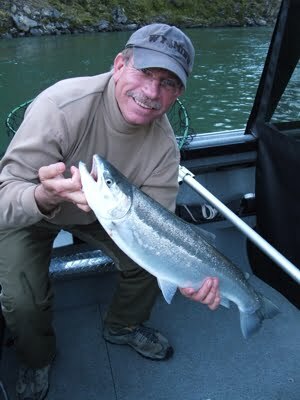 Summer steelhead (or half-pounders) also provide excellent fishing during these months. 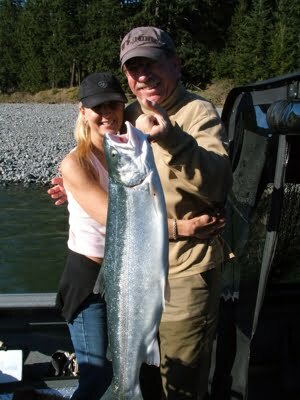 September-December: This time of year you’ll catch Coho (silver) salmon and the fun-to-hook summer steelies. Silvers range in size from 5 to 15 pounds and steelhead from 3/4 pound to 2 pounds. Nothing’s more fun than fighting these fish on light tackle, especially a fly rod. Many fishermen catch and release these beauties back into the water.